The Texas Horsemen’s Partnership, LLP (THP) is proud to announce a partnership affiliation with CANTER of Texas, a non-profit organization that finds new homes for retired racehorses. 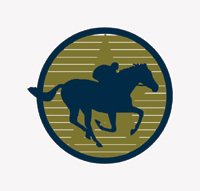 CANTER of Texas is the Texas chapter of the national organization CANTER. CANTER is a non-profit organization founded in Michigan in 1997 by a racehorse owner to help find new homes for retiring racehorses. CANTER is a placement program started by and for the racing industry to help racehorses “after the finish line.” With the addition of CANTER of Texas, CANTER now operates in six state/regional chapters. contact owners and trainers directly. CANTER also provides buyer education through its website so that trainers are not overwhelmed with inexperienced or otherwise inappropriate buyers. CANTER recognizes that trainers are very busy and are not in the business of selling, so it does its best to prepare buyers and act as a buffer for the trainers as much as possible. CANTER has transitioned over 2,050 horses into non-racing homes since 1997. CANTER horses go to many new careers, including hunters/jumpers, barrel racers, pleasure and trail horses, dressage mounts, or breeding animals. While CANTER assists in finding new homes for retired racehorses, executive director Lynn Rorke is quick to point out that the organization is not designed to rescue racehorses from their racing careers. She stated emphatically, "We're pro-racing. We don't feel like racehorses need to be rescued from doing their job. They just often need help finding second homes when their racing careers are over." Rorke went on to explain, "Racing takes care of its horses, and that's why we are here"
In addition to the THP, CANTER of Texas has been endorsed by Lone Star Park at Grand Prairie, Retama Park, and Sam Houston Race Park. CANTER of Texas volunteers have already started making rounds through the stable areas at Sam Houston Race Park and Retama Park talking to trainers about CANTER’s services, and CANTER of Texas has already found new homes for a number of retired racehorses. To find out more information about CANTER of Texas or if you are interested in listing a retired racehorse for sale with CANTER of Texas, go to the CANTER of Texas website at www.canterusa.org/texas or contact Lynn Rorke by phone at (512) 565-1824 or by e-mail at cantertx@canterusa.org.